The bus from Mendoza to Santiago was actually pretty good despite ages terrible movies. It took all day though and we got settled into our ‘Eco Hostel’ before heading out to explore. Santiago is the capital city of Santiago and the city is interestingly shaped like a triangle. 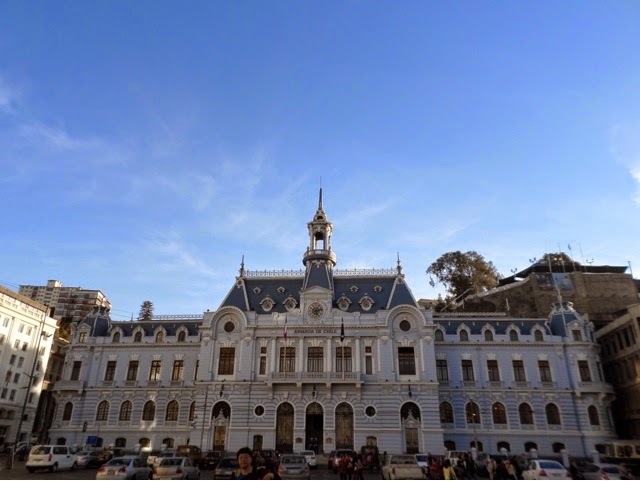 It has a large historic centre, although a lot of the buildings are not as old as other colonial cities due to historical large and damaging earthquakes which have happened. 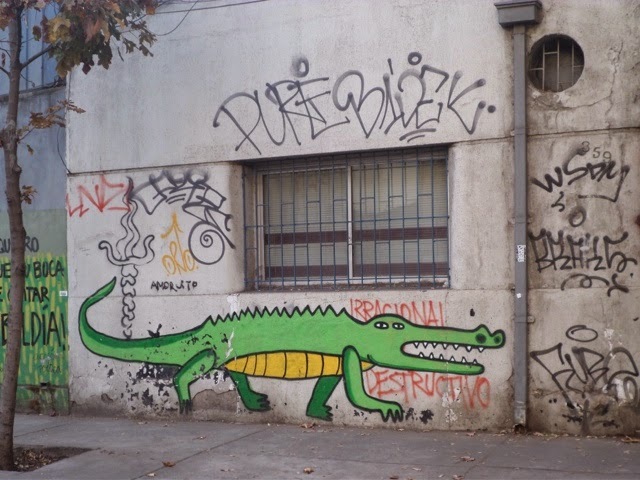 Crocodile outside our hostel… Maybe he’s the guard? Chile is a republic and has a population of 17.4 million people. Their main exports are copper, which you see a lot of at the artisan markets, fish, fruit and interestingly paper! Chile is also one of the South Americas wealthiest and most stable countries, this is despite having spent seventeen years under the Pinochet dictatorship. Over this period more than 3000 people were killed or disappeared. The retaliation by the regime was largely in response to what they saw as socialist movements introduced by the previous government. There is also a history of violence towards the indigenous people, the Mapuches over land rights. The country has done quite well during the recent global economic recession and back in the 1990s it actually had the fastest growing economy in South America. Chile is interesting geographically in that it is very long and thin and essentially takes up the land space between the Pacific Ocean and the Andes. It is 4300km long but only 175km wide! It also covers several climatic zones, from the Atacama desert, like we saw at San Pedro, to Alpine in the South. The first night in town we walked over to Bellavista to a local restaurant where I had an awesome Corn Pie for dinner. On the way home we stopped for frozen yoghurt and cocktails before heading off to bed. On the way to Bellavista we walked past the cultural centre, which is an important landmark in the city for many reasons. When it was originally built for an international event the government was forced to admit that it would not be completed in time. The local residents of the city all gave up personal time to assist with the building works and it was actually completed for the event, despite it being predicted that it was almost six months behind schedule. 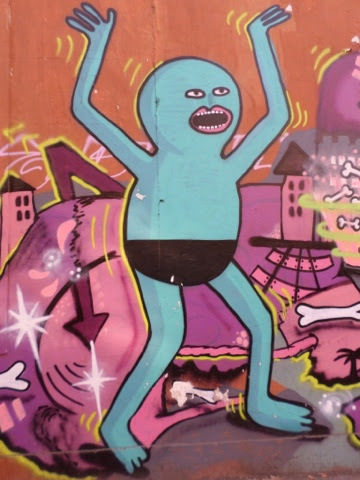 During the dictatorship it was used as a potato sorting facility and all the art was removed and destroyed as due to the community involvement I. The construction it was viewed as a socialist project. The centre has since been refurnished and is pretty funky. In the centre is a large installation of a fish which is actually a replica of the original piece of artwork that hung there when first completed. 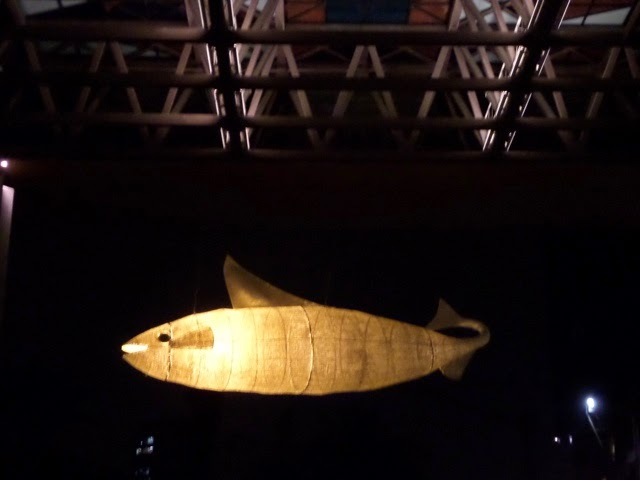 Fish installation illuminated at night. 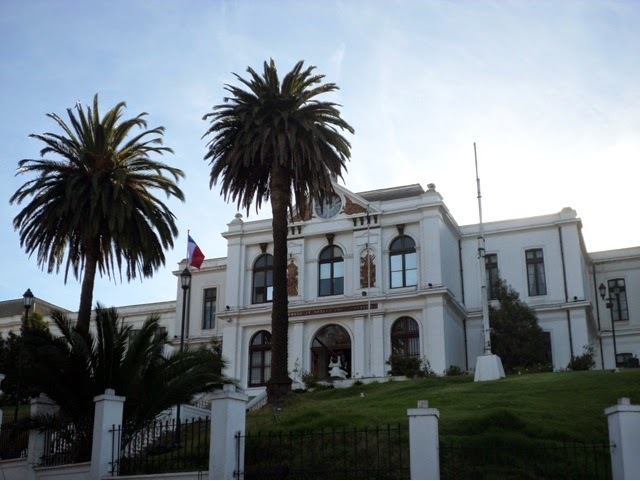 Our last day with our ‘old’ group was spent on a day trip to the areas of Valparaiso and Viña del Mar, towns on the coast over in province five. 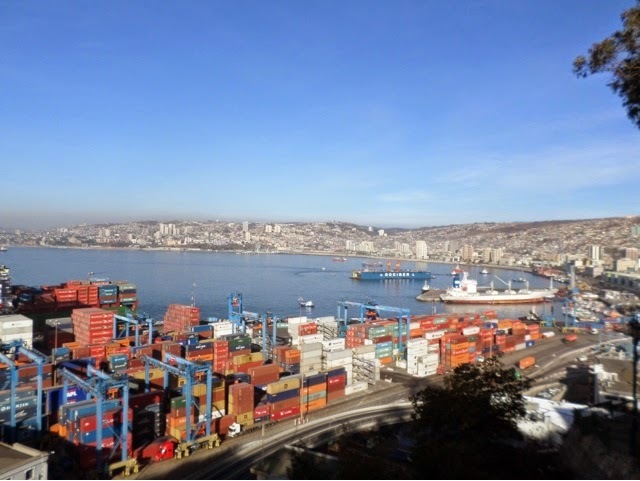 Valparaiso is a large port, in fact the main port in Chile. We stopped at a few vineyards on the way. 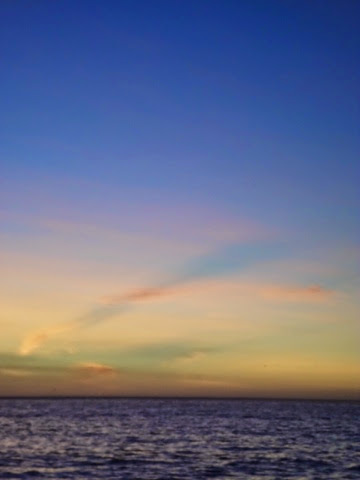 The first was pretty unremarkable but the second was lovely. 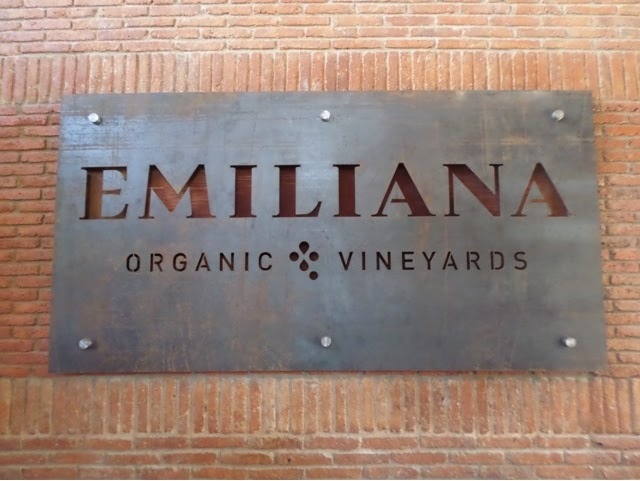 It is the Emiliana winery and belongs to the same family as the famous Concha y Toro winery. 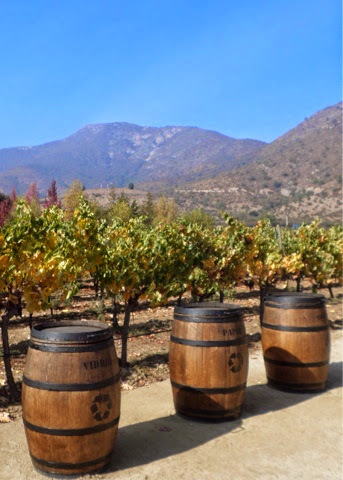 The vineyard was actually a gift from husband to wife and is now the only fully organic winery in Chile. 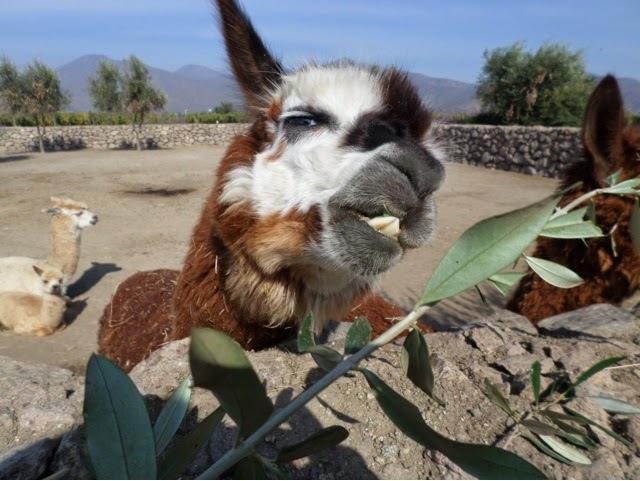 They also have a lovely vegetable garden and alpacas. We then drove into Valparaiso town. The town was hit by bad fires which spread from the surrounding bush into the outskirts of the town. Around 500 houses were lost. None of the areas that tourists visit were affected, as it was mainly the poorest suburbs that burnt down and so we didn’t see any of the damage. 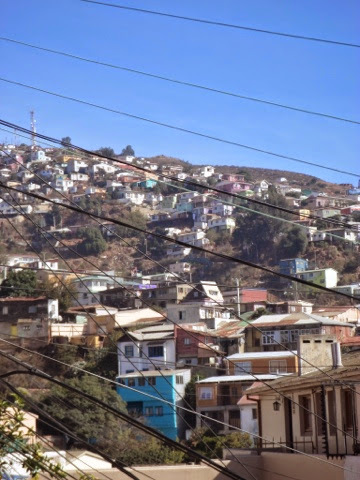 Valparaiso is built up the sides of very steep hills and areas are connected with lifts, the kind you find by the British seaside on the cliffs at places like Scarborough. 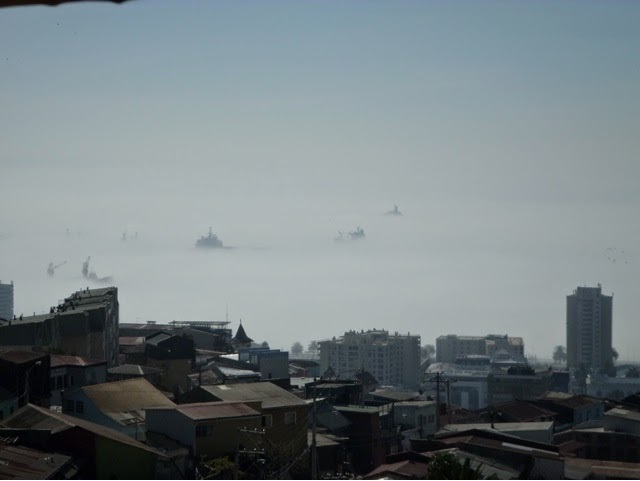 When we arrived it was extremely misty and we couldn’t actually see the bay at all, but gradually the mist lifted and the ships appeared like ghosts. 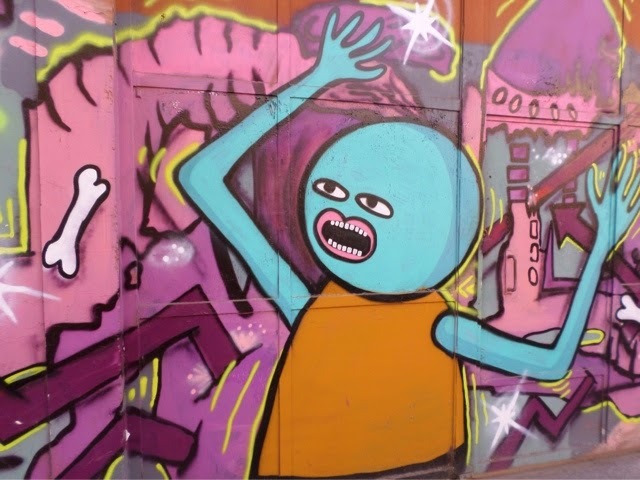 All around the town the houses are painted bright colours and there is lots of funky street art. There are also lots of random old school TVs, although I don’t know why this is. 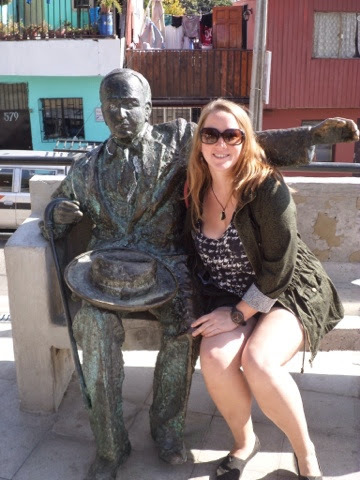 There are also statues of the famous poets of Chile. 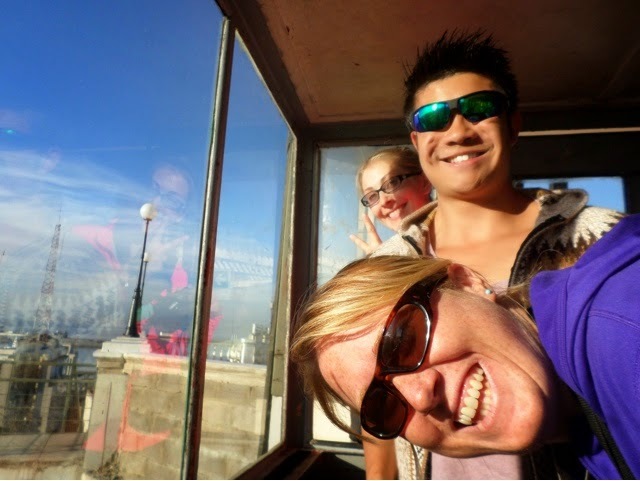 We took a lift to a viewpoint across the port and saw a large cargo ship departing for China. View across the port and town. 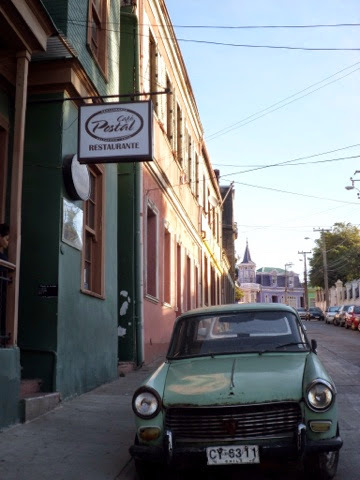 There are lots of cute streets and funky old cars. 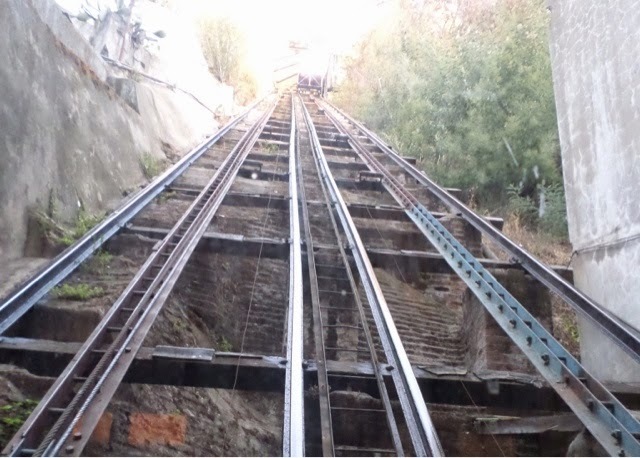 The funicular tracks are at an angle of 43 degrees apparently… Pretty steep! We walked around down by the port itself and saw the impressive Naval buildings. 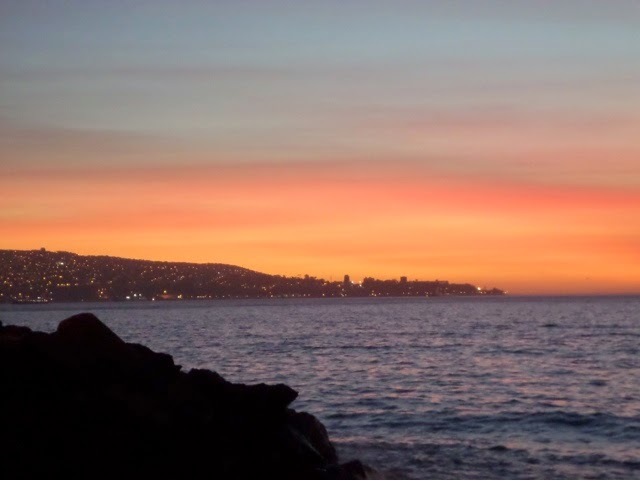 From here we drove up the coast to Viña del Mar and saw the sun set across the bay, which was beautiful and my camera simply didn’t capture the colours properly at all. View looking back to Valparaiso. 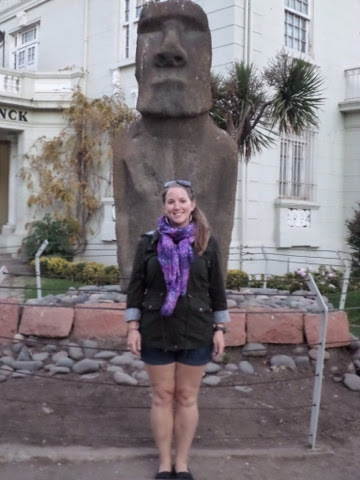 We also stopped on the way there at a location where they have one of the statues taken from Easter Island. I would love to go there, but didn’t have time on this trip, so it was cool to see, although it was only a small one. 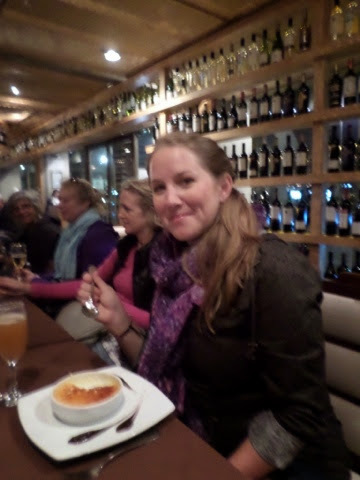 We stopped for drinks at a small bar on the water and enjoyed wine and desert, I had an enormous creme brûlée, yummy! 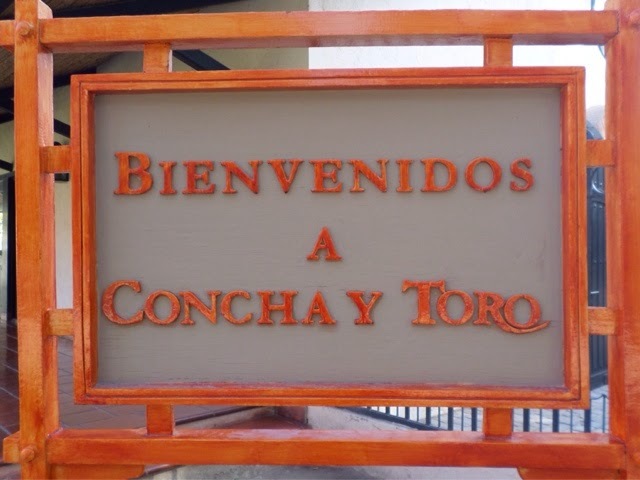 The second day in Santiago was spent doing a tour of the famous vineyard of Concha y Toro that most of you will know for its most famous wine, Casillero de Diablo, meaning cellar of the devil. The property started out as a summer home for a rich family. They originally grew their own grapes solely for their own wine production. 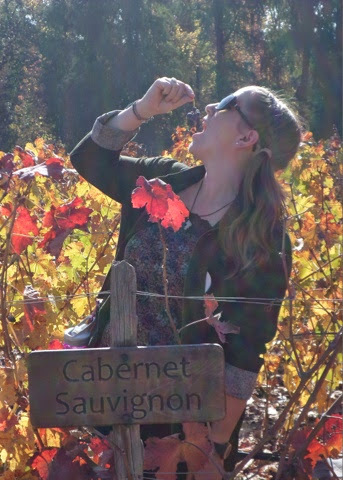 As is the case with most of the wineries in the area they eventually turned the land into commercial vineyards, some selling their grapes and others making their own wines. 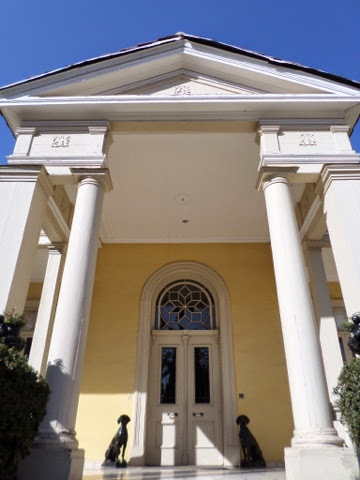 The wine of the original owner came from another aristocratic family and she was not happy to have views of more vineyards at her own home, so she created beautiful landscaped gardens. View from the house out across the artificial lake. The gardens seem very Victorian in their style complete with faux grotto. 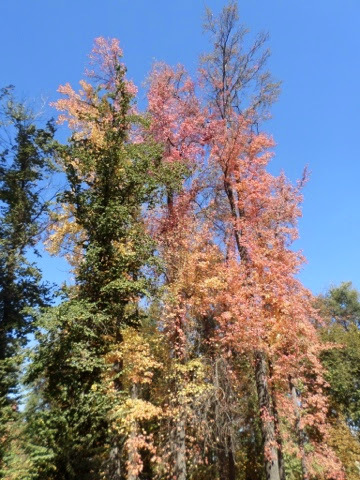 The trees are all so beautiful, the autumnal leaves are just stunning. It made me feel like I was back home actually… Until you see the vines! Autumn always was my favourite season and I am just absolutely loving this weather, especially as it’s still sunny :-). The vineyard has 10,460 hectares of vines, of which only 9 are on the estate site. The grapes grown in the production field here are Cab Sav. They also have Carmenere, the local specialty grape. The winery has other vines around the rest of Chile. They also have vines in Argentina, where they grow their Malbec and also some up in California. Although most of the wine is made here, it is bagged up and only actually bottled at its destination, it is actually shipped in large plastic bags! The outside of the cellar house. Our first tasting was of a Chardonnay, as you will know by now I am not a big fan of white wine and definitely not a Chardonnay drinker. This was lovely though, it was light and fresh and only very lightly oaked. It was actually a blend of 70% Chardonnay, 15% Pinot Grigio and 15% Pinot Blanc. Of the Chardonnay only 30% was aged in oak, French oak. It was drinkable and although I wouldn’t crack open a bottle just for the pleasure of it, it would be lovely with a summer meal. It would actually be a great wine for Queensland summer and I might look out for it at home. 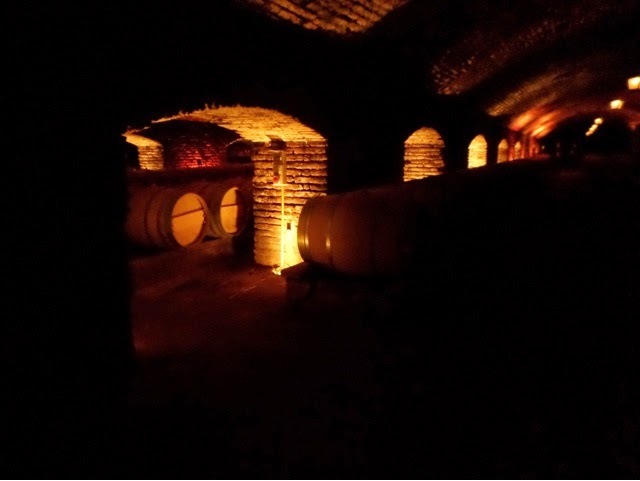 It was then time to head indoors to check out their cellars. 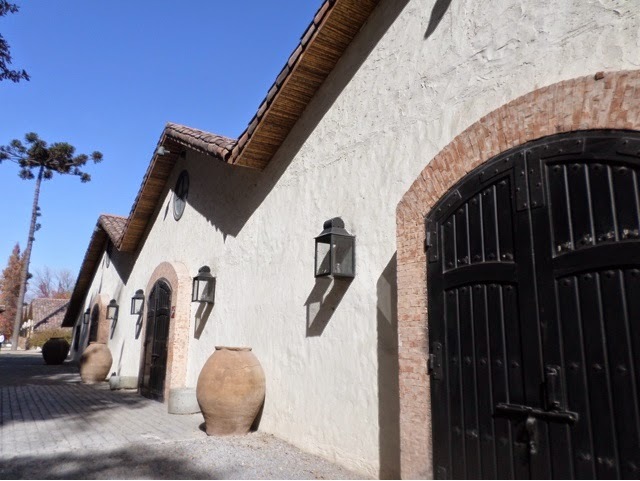 The winery has above ground cellars with both American and French oak barrels. 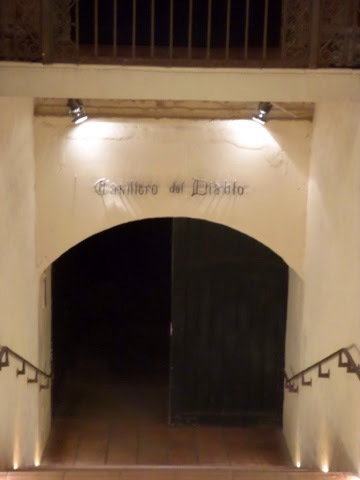 Then there is the original cellar, El Casillero de Diablo, the cellar of the devil. 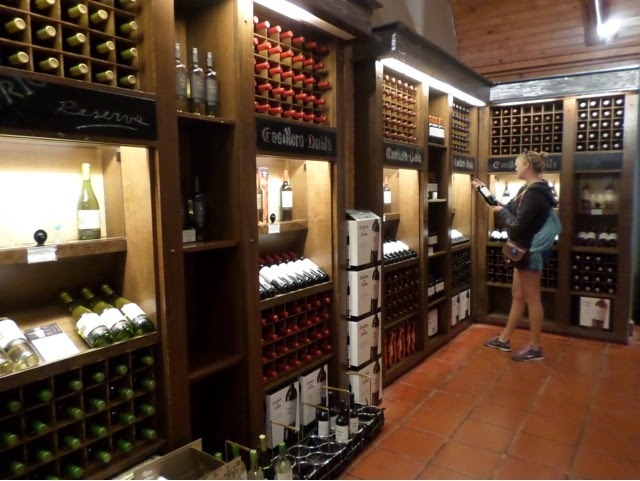 The owner faced issues with people stealing wine from his cellar so he made up a rumour that the cellar was actually home to the devil itself to prevent people from breaking in. We headed in and our tour guide Marco hit the lights, so we were plunged into pitch darkness. There was then a great show of lights explaining the history of the cellar with lots of different coloured lights across all the barrels. The finest wine range is aged down here in French oak barrels. The first red we tried was a Gran Reserve Carmenere from 2012, it had a very leathery taste to it, it was fairly nice and would be great with a beef roast, but I preferred the second red wine we tried, which was conveniently the cheaper one too! The second red wine was a Casillero de Diablo Reserva Privada Cab Sav. It was rich and fruity and yummy… I might have gone for a second glass… The benefit of being in such a small group was that our brilliant guide, Marco, gave us extra servings :-). 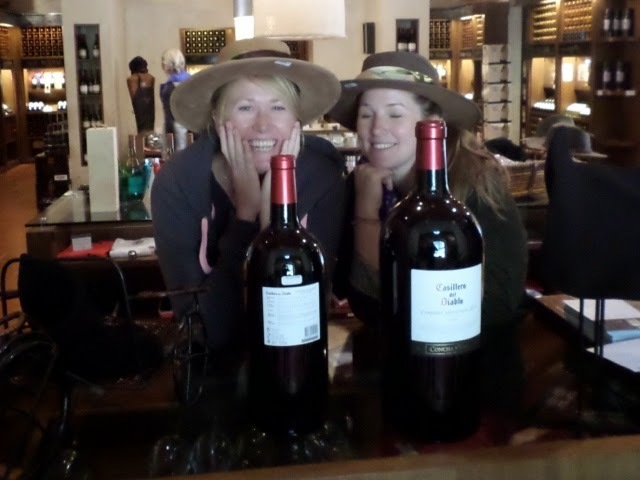 We did a spot of wine shopping… And picked up a few bottles. 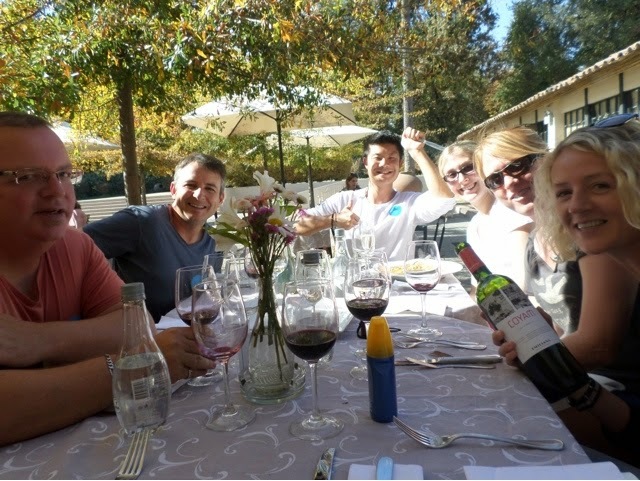 We then headed to the beautiful courtyard restaurant and had the most amazing lunch ever. 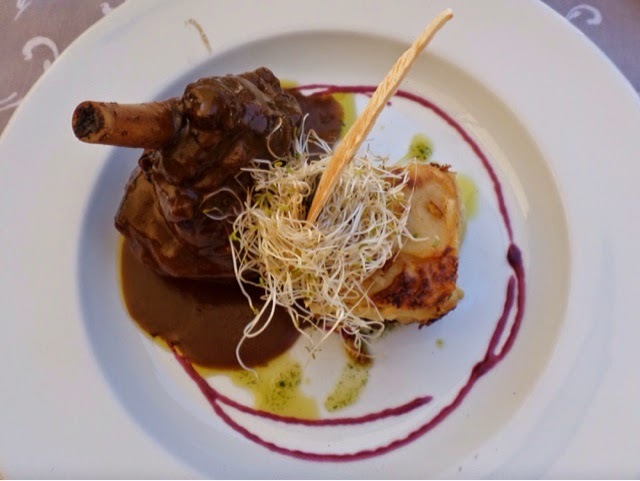 We started with a meat and cheese tasting platter, which I followed with lamb shank and dauphinoise potatoes, delicious. 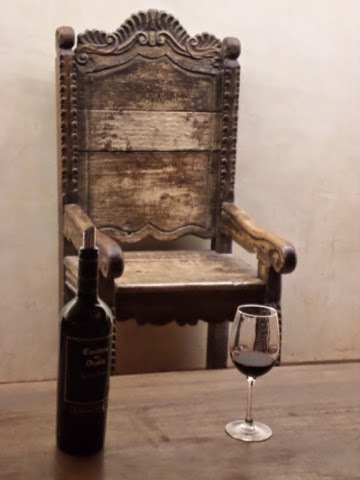 We also enjoyed a bottle of wine from the Emiliana winery that we had visited the day before and belongs to the same family. We had a lovely bottle of Coyam, which I would definitely recommend. The lamb was melt in the mouth spectacular! 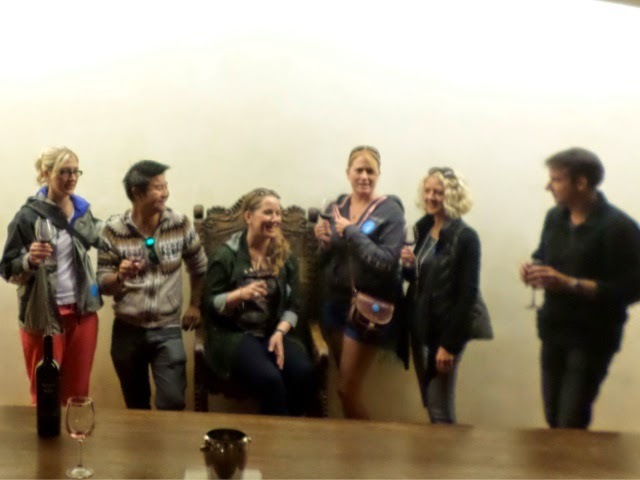 We cracked open another bottle of wine and then headed home to the hostel. It was an absolutely wonderful day. Our guide was really great and very fun and informative too. The food was as stunning as the location. I was most amazed at how quiet and relaxed the place was given that it’s such a large vineyard. It felt like we hardly saw anyone else at all, at times we had the place to ourselves so it felt pretty special. That night we had a BBQ at the hostel and met our new group, we are back up to 15, argh! We have more guys now that we are heading up to Rio and therefore have picked up people headed up to the World Cup. We are losing Brian, Lindsey and Peter and also Ruth and Jerry which I am sad about. We have gained 10 newbies… A group of three Aussies travelling together, two brothers Alex and Nick with Nicks girlfriend Nicky, all from Melbourne and in their late twenties. There are another two Aussie guys travelling on their own, Mark from Canberra and Daniel who is another Melbournite and are late twenties/early thirties. We also gained Jackie from Sydney, who is 60 and makes up the Aussie contingent. We got some more Brits too, a group of three girls from Reading travelling together, Rebecca, Hailey and Lorna. Finally we have a Canadian girl Denae. Denae joined the tour with another Canadian friend who sadly had to return home almost immediately due to family circumstances. It is a big and young group and definitely has a very different vibe to our other groups, it will be interesting to see how things go over the next 12 days, where we change again at Buenos Aires. The BBQ wasn’t great but we enjoyed the wine we had bought earlier in the day before heading out for some drinks in town. 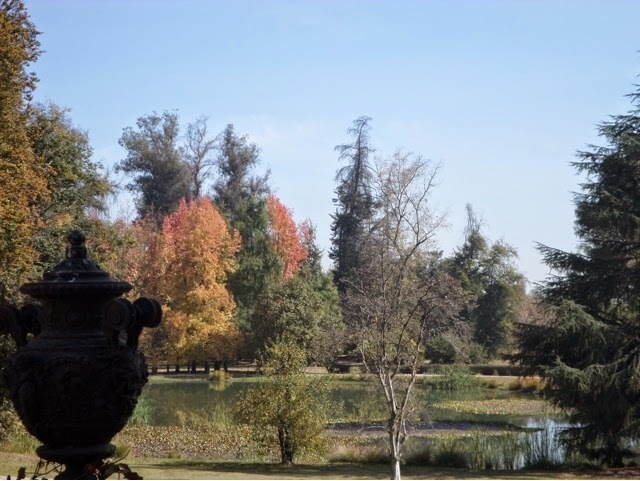 Our last day in Santiago was extremely disappointing for me as I was feeling extremely unwell. I ended up having to have a quiet day around the hostel and was mainly lying in bed hoping to get better in time to get the night bus to Pucon. It was a horrible day and I was still feeling unwell but the time we left for the bus. I was fairly drugged up in the hope that I would just sleep through the bus ride and I think this definitely did me the world of good, as I felt almost like a normal human being by the time we arrived in Pucon the following morning. I’m not very good at coping with being ill at the best of times and generally like to just be left alone, so being surrounded by lots of people and then having to get on a full night bus definitely sucked. I was really sad not to have the day to see the city either, but I guess it just means that I will have to come back and explore at another time. It’s one of the downsides of having pre-booked travel plans, as you have to keep moving. Otherwise I would have stayed a few extra days, but I am really excited to visit Pucon, for it’s amazing volcano! 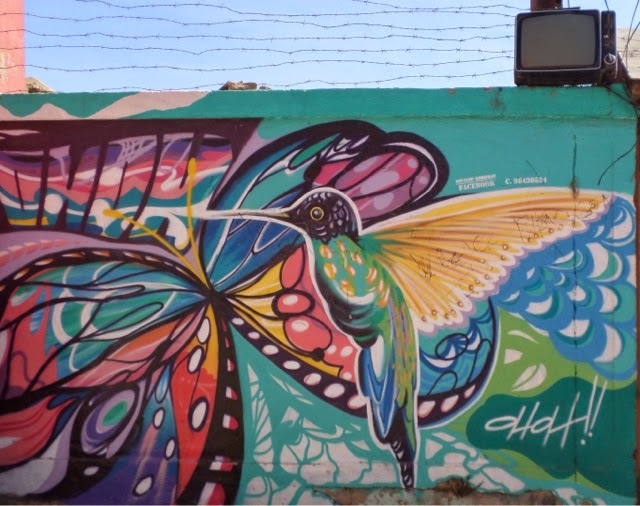 This entry was posted in Travel and tagged Casillero de Diablo, Chile, Concha y Toro, Corn Pie, Fernicular, Grapes, Intrepid, Pablo Neruda, Pinochet, Poet, Santiago, South America, SouthAmericanAdventure, Street Art, Travel, Valparaiso, Vina del Mar, Vineyard, Wine, Winery. Bookmark the permalink.